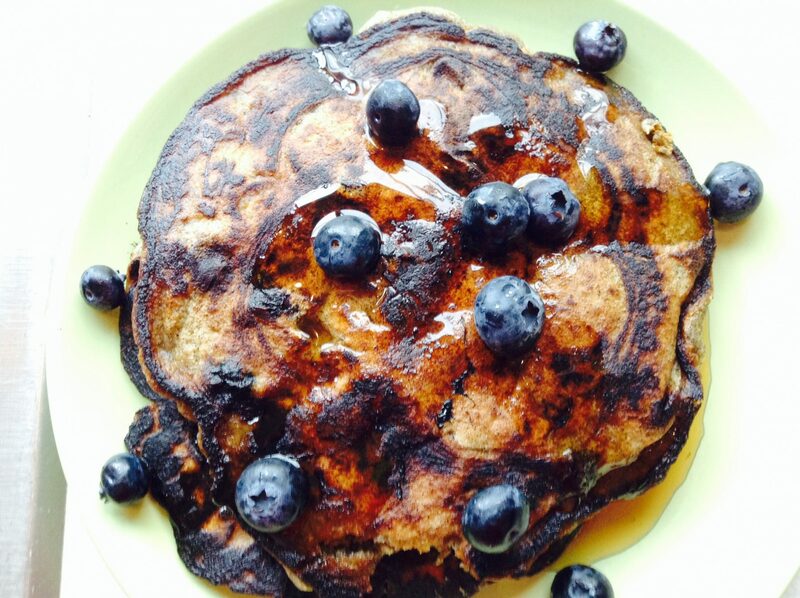 Vegan pancakes are yummy! And easy too! Thanks so much to our fan, Elizabeth K., for sharing her fabulous food photos for this recipe! 1. Pour a dollop of batter on a heated, oiled griddle. Cook for about 3 minutes, or until bubbles appear on the top side. Then flip! 2. Cook for about 3 more minutes. Squash pancake with spatula to see if any batter squishes out the sides. 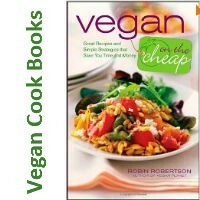 If it's all cooked, you're ready to eat it! Top with fruit, vegan butter and maple syrup, or vegan whipped cream. Chef's note: Larger, thicker pancakes will take longer to cook. You'll know it's time to flip when the bubbles on the top of the pancake have formed and then cooked solid. 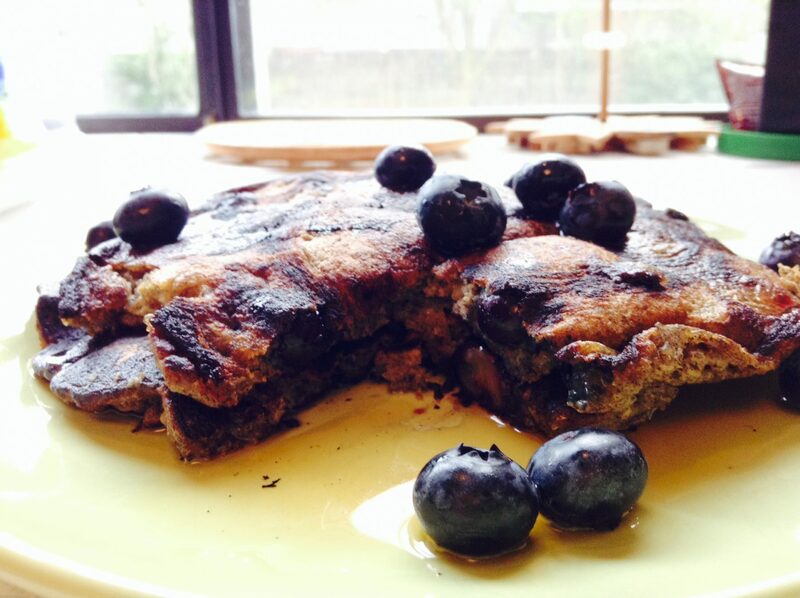 Let us know what you think of this easy vegan recipe: Buckwheat Pancakes!